There are numerous illustrations which describes the incredible use of claim investigation services as provided by numerous claim investigators or Insurance fraud investigation in Singapore who are used for fulfilling the entire investigative needs of various claimants who might have been suffering with financial or social losses due to higher deception and cheatings done by tactful and manipulative people who are having the potential to defraud the innocent clients or insurance companies by obtaining the compensation or remittance of faked and staged claims with indecent or unlawful use of forged, faked and unrealistic substance utilized in formulating illegal claims. This is to tell you that this kind of situations are quite common in the insurance sector of Singapore where majority of companies working here are very frequently falling prey of this kind of problems and the worst part in that there is no relief from such practices and organizations are forced to bear huge financial losses annually. While studying claim clearance processes which are often utilized by the organizations in Singapore, it is revealed that most of them have not incorporated a reliable and trustworthy system of examining all claims at the initial stages in order to verify the veracity and genuineness documents, statements and evidences enclosed with claims and tentative use of such processes without any verification, have been pushing the organizations to have enormous financial losses. 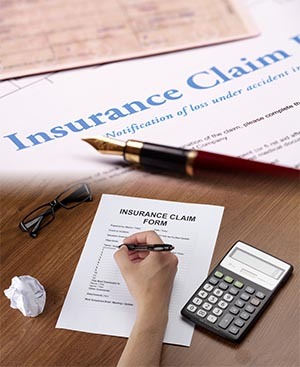 Our associates are very well experienced in insurance fraud claim investigations and well known in their respective locale. Consequently, we can give you the best and prompt service. Indeed we cover all over Singapore. Our investigations and reports are describing our main objective to obtain the clear and convincing evidence Kindly contact us on our email: info@gvs.ae according to your requirement respectively.